BRIAN032352 : That was the ONLY way to listen to music back then...And weather permitting doors & windows open too so the neighbors could here it whether they wanted to or not hahahaha!! A few years ago I used to play the vinyl album cut of Suzie Q at very elevated volume from my big stereo speakers. It had a hypnotic groove and awesome guitar patterns. I have their CD box set! 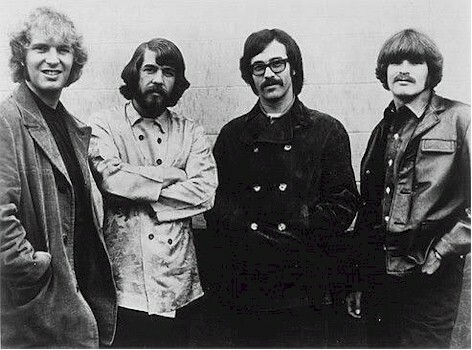 And also a DVD by CCR plus the Woodstock performances including CCR. They were phenomenal,especially their rockabilly revival numbers on Cosmos Factory. I was 17 years old and avid fan back in 1969. Wow these songs really bring back memories. I was born in 67 and lived in San Francisco, California. So as you can imagine, all of the hippies Hate Asbury St. Great memories thats for sure.